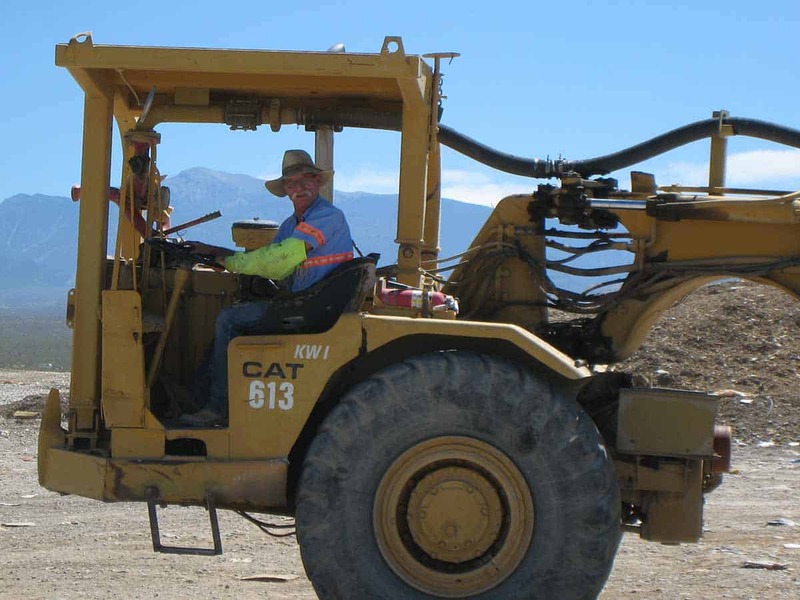 Southwest Environmental Services, an affiliate of Pahrump Valley Disposal, operates the Nye County landfill and ensures solid waste is disposed of properly in accordance with all local, state, federal, and environmental laws. We employ dynamic diversion programs, which, combined with our strategic management plans, provide life extensions to landfill spaces. For more information, contact our office at 775-727-5777. Open to residents seven (7) days per week from 8:00 a.m. to 4:00 p.m. When loads of mixed waste are received at the landfill, scrap metal, wood, cardboard, concrete and tires are separated and recycled to increase diversion from landfilling, and to preserve capacity and extend the facility’s useful life. Hazardous Waste is strictly prohibited in the landfill. This includes all electronic waste (computers, televisions, cell phones, stereo equipment), paint thinners, pesticides, motor oil and oil filters, herbicides, and similar products. Latex paint, however, can be dried out, and once dry, the paint may be disposed of in the landfill. Please visit Nevada Recycles for more information about the disposal of hazardous waste. We are located at 1631 E. Mesquite Avenue in Pahrump. We are open seven days a week from 8:00 a.m. – 4:00 p.m.
We are closed on Thanksgiving Day, Christmas Day, and New Year’s Day. We accept cash, check, money orders, and credit cards (Visa, MasterCard, and Discover). Yes. We accept green and wood waste directly at the landfill. All other recyclables, such as newspaper, household paper, magazines, cardboard, food and beverage glass, metal cans and plastic food and beverage containers # 1 & # 2, may be dropped off at our metal yard, next to our office, located across the street from the landfill. Although we do not accept e-Waste at the landfill, it may be dropped off at our metal yard, next to our office, located across the street from the landfill. Yes. We accept scrap metal at the landfill for free. However, we buy ferrous and non-ferrous metals including appliances, iron, tin, copper, brass, car batteries and more at our yard across the street from the landfill at 1410 E. Mesquite Avenue. Our metal yard is open Monday through Saturday. Please call for hours. Click here for more information. No. Hazardous Waste is strictly prohibited at the landfill. Please visit Nevada Recycles for more information about the disposal of hazardous waste.